That’s the name of a fascinating piece of research (click here for a pdf download) undertaken by, of all people, a researcher working for Microsoft. I’m sure all of us have thought this every time we hear of yet another victim of the “advance fee” or “419” scams. How can someone have been so catastrophically gullible to fall for the story they received? Part of it is greed. Hold the prospect of millions of dollars in front of some people and their brain stops working properly. All of their critical faculties evaporate and they start thinking in ways that can politely be described as “non-optimal”. But it’s more than that. There’s a level of gullibility needed to fall for the frankly bizarre stories that scammers tell. But that’s what the Microsoft research suggests makes the whole thing work so well. The more extreme, the more remarkable, the more unbelievable the story, the more likely the scammers are to make money. Strange but plausible. It goes like this. Given that the scammers send these ridiculous emails to thousands, perhaps even millions of potential victims, how can they ensure that the ones who respond are most likely to be the ones who will end up coughing up their cash? You might think that they could do this best by constructing a story that is believable as possible? Not correct. If they did that, the research shows, the scammers would have to manage an intolerable number of responses. Most of these more sensible people would eventually realise that there was something suspicious going on. It’s very easy to think that these scams don’t happen any more, that scammers have moved on to other ways of parting the gullible minority from their money. This is true to an extent, scammers have evolved, they’ve moved into recruitment and immigration scams, they’ve set up fake educational establishments, they’ve broadened their portfolio in the same way any successful business would. But they haven’t abandoned their roots, their core business remains the same, mainly because it can be so horribly profitable for them if they get it right. Only a couple of weeks ago we heard from someone who had passed the gullibility test. He’d received the first email, the one introducing a beautiful young woman (that's her picture on the right), who, “she” claimed was stranded in a refugee camp in Senegal. Guess what? 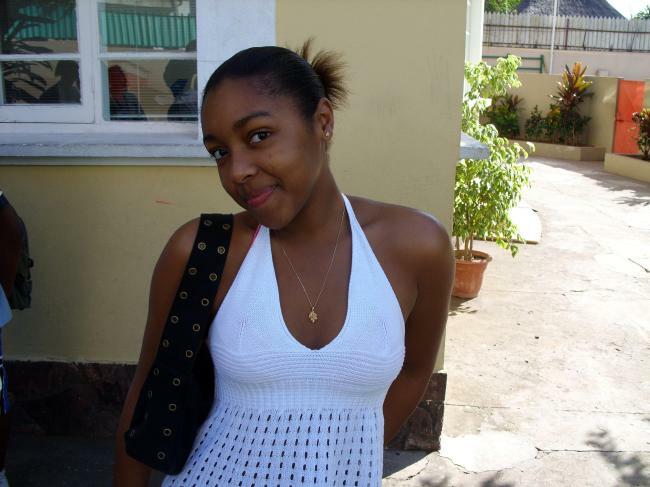 Her late father had left US$6.5 million in a bank account and she needed his help in transferring it to his country. In return for his assistance she’d let him keep some of the money. Unfortunately this person wasn’t skeptical at all. He believed the story, believed it when she asked him to deal with her attorney and the banker he put him in contact with and the need to pay the attorney P4,100 and later another P1,800 for various fees in advance of the mythical $6.5 million. See the clue there? “advance”? He also believed that refugees in camps in Senegal have fast internet access but don’t have cellphones. 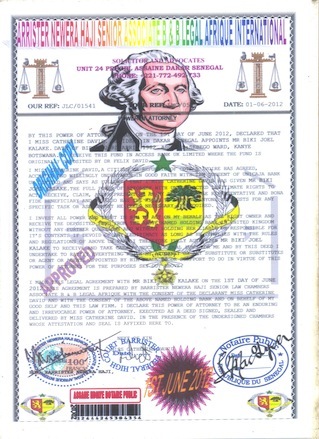 He believed that the obviously fake bank and legal certificates he received were genuine even though one of them, that he was told was a Senegalese power of attorney certificate, had a cartoon picture of George Washington on it. He ignored the spelling mistakes, the appalling quality of English and the fact that nobody involved had a landline phone number. But we knew that, didn’t we? The research from Microsoft tells us that. If he believed that first email he was destined to believe everything else the scammers said. In fact the only reason he started to show some critical thinking was that he ran out of money. After he’d demonstrated his gullibility by paying them the first two times they tried to push their luck. They demanded P26,000 from him to pay for the fake attorney to fly to London for a meeting. It was only because he had no money left that he contacted us and we had to break the news to him that he’d been scammed. Even after this he was still referring to them as “The lady”, “the bank” and “the lawyer” instead of “the scamming criminal scumbags”. The unpleasant truth is that the gullible will always exist and it’s up to their friends, relatives and neighbours to protect them. I bought a bed at a furniture store in Gaborone last year and after 2 months the mattress started to show some wires and that made it to be totally uncomfortable. I reported the matter at the shop in May, June, July and they kept promising to change it until in November I decided to stop the payment because they are not assisting me with changing the mattress. One of the ladies there called me and advised me to continue paying because they will come and change it and from February till now I have been paying but they have not yet come to change it. So I do not know if I should continue paying or if I should stop paying? In the contract there is a clause which says if I breach the terms or if i fail to pay my installments on the due date then the full amount or balance of the price of the goods shall immediately become due and payable and the store can at their sole discretion can sell the goods and retain the monies paid by me and the proceeds of the re-sale in settlement of my indebtedness to them, provided that any monies received by them in this manner in excess of my debt shall be refunded to me. I do not understand this, if possible you can help me to understand it. First things first, you must NOT stop paying for your credit agreement. The clauses in the contract you mention are fairly normal. They mean that if you stop making your repayments they're entitled to come after you for the full outstanding balance, minus any money they get from selling goods they've repossessed from you. However that would be the worst thing that could happen, as you'd have no goods left and would still owe them money. Given that the store has let you down by failing to repair or replace your mattress I think it’s up to them to come up with a solution as soon as possible. If you stick to your obligations it’s only fair that they stick to theirs. We’ll get in touch with the store and see if we can encourage them to get a move on with fixing your mattress. Update: He got a new bed to replace the broken one. I need your advice. It was sometime in 2011 when I got a loan from a cash loan company of P2,500. I made some payments which I don’t remember clearly and I defaulted. This year on the 14 June he brought a letter of demand which stipulates that I owe the company P13,085. I’ve been given 7 days to respond failing which they will engage sheriffs. Please help me. You need to contact the lender urgently and demand a full breakdown of the amount he claims you owe. You also need to make him aware that you know about the “in duplum” rule which governs how much a court will demand you pay back when you settle a debt. The rule states that at the time of the settlement of a debt the interest charged cannot exceed the capital amount outstanding. Even if you still owed P2,500 he couldn’t charge more than that amount on top as interest. Given that you did make some payments I can’t see how the amount he could demand from you would exceed P5,000 at the most. It turns out that the lender also took the reader’s ATM card, which is strictly forbidden by NBFIRA. All lenders know this, there’s no excuse. When I spoke to the lender he claimed that he was “in the process” of registering with NBFIRA, which all such lenders should have done a long time ago. He’s subsequently told the reader that he can’t find the receipt book that records the payments she made. That, by the way, is another breach of the rules set by NBFIRA. They demand that full and accurate records must be kept at all times. He also doesn’t release that a bullying moneylender can’t just send round the deputy sheriffs without an order from a court. The lesson is simple. Avoid moneylenders as if they were a foul, communicable disease. However if circumstances force you to use their loathsome services then you must honor your obligations to them, so long as they’re legal. Also you must keep full records of every payment you receive and make. Keep copies of every receipt you get and don’t lose them. Also, check that they are registered with NBFIRA. NBFIRA is one of the few regulators we have that is prepared to get it’s hands dirty when necessary so let’s make full use of them! NBFIRA are getting involved. Expect this to be fixed very soon! This is to inform all 2011-2012 fresh graduates students that we are looking for talented people who will support our employment principles and are looking for opportunities that will be challenging.The GPG PLC is reducing organizational complexity, improving operational consistency and changing individual behaviour ‘Our business is based on integrity, professional conduct, reliability, commitment and performance. Our key priorities are safety, people and optimal performance.GPG PLC currently seeks the services of qualified and dedicated applicant with the ability to carry out job functions effectively. * Do you have any past working experience or skills to work in a IT/ Business/ Engineering? * Do you have any certification or documentation to prove or show that you have these experiences? If you fits this criteria kindlly contact us,as we are currently undergoing a recruitment process in our organization.Please forward your CV/Resume to botswanajobs@gmail.com and we will facilitate the recruitment process. Guinness Peat Group (GPL) plc is an investment holding company with a diversified range of strategic interests in a number of businesses, mainly in Europe and Australasia. The GPG PLC needs individuals who are enterprising, creative, energetic and eager to accept new responsibilities and challenges. Applicant must be flexible and willing to undertake new assignments.The GPG are in need of staffs within the frameworks of her establishments (both in business , IT and engineering positions); professionals, skilled and unskilled, learned and unlearned, experienced individuals/expatriates or fresh graduates capable of rendering expertise services in various fields. PACKAGE: Basic salary ranges from 2,950GBP – 14,000GBP monthly dependent on experience level, plus attractive Stock Grant (from day one), Target Bonus (circa 20% at present) and other company benefits. Employment Benefits also includes Accommodation and Feeding. Full summary of the entire package will be couriered to qualified applicant before resumption of duty. Including paid Business Travel. Various position are still vacant in various department of the company, suitably qualified candidates will be assigned into one of the vacant job positions as soon as recruitment policy is been met. All qualified candidates will be given appointment irrespective of their race, colour, gender, national origin, veteran?s status, age, religion, disability, sexual orientation or citizenship. The first clue is the reference number. If you do a Google search for "GF-HR-PM-REG/M04-1986" you find other "recruitment companies", sometimes with the same initials but different names, offering the same jobs, even using the same wording in their emails. I suspect they're all fake companies run by the same scammers. Then there are the salaries and benefits they offer. They're absurd. Also the language used is a clue, phrases like "Accommodation and Feeding" don't sound right. They're also exactly the same words we've seen before in recruitment scams. Finally real, professional recruitment is not done using Gmail addresses. Make sure you listen to RB2 next Monday morning from around 0815, the time we would normally be on air. Replacing us will be representatives of "Wealth Solutions" (I believe that's their name), who we mentioned last week on air. They were the ones on GabzFM offering their advice and training in Forex dealing and represented by Mzabalazo Dlamini, one of the founders of Cashflow Pro, who are under investigation by the SA Reserve Bank. They have demanded a right of reply, claiming that they have been "exonerated" by NBFIRA. Seeing as they weren't being investigated by NBFIRA I don't understand that. It also seems that as providers of just training and education on Forex trading (remember Stock Marker Direct?) they're not even covered by NBFIRA so NBFIRA can't have "exonerated" them. Listen in and let me know what you think. A few years ago I was listening to a radio phone-in in South Africa. The caller was complaining about the service she got from a bank and felt they’d abused her terribly. This is what she claimed had happened. She’d been to the bank, withdrawn a significant amount of money in cash and then left. She’d walked down the street, round the corner, down another street, round another corner and then got mugged. That’s terribly unfortunate and I can imagine how alarmed, frustrated and angry she was. However she wasn’t just angry with the mugger, she was angry at the bank as well. After the mugging, instead of calling the cops, she went straight back to the bank and demanded that they give her the money again and when they politely declined, she got angry with them. She genuinely seemed furious that the bank weren’t prepared to take responsibility for her loss and weren’t willing to dig into their coffers and replace her stolen money. I’m fairly certain that every other listener to the radio show had the same reaction as me. Was it the bank that mugged her? Was it a bank official that crept round the corner and assaulted her and took her cash? Was it a huge conspiracy? Should they have been obliged to replace her money? Was it actually, in any way, the bank’s fault? I certainly didn’t think so. Of course it wasn’t, but it does seem to be a tendency that some people have, to blame someone, even when there’s nobody actually to blame, or the person who should be blamed, like the mugger, has long since gone. We’ve heard recently of a number of cases, some in Botswana, others in neighboring countries, of ATM card theft. In theory, if your ATM card is stolen you should be safe because the thief won’t know your PIN. But ATM card thieves are smarter than that. Using a variety of techniques, sometimes using tiny cameras, other times just distracting you and watching you enter your PIN the thief can get your number. Once they have your card, or have been able to make a copy of it, your account is at their mercy. So what happens once your money has then been stolen from your account? Whose fault was it? Whose job is it to remedy the problem? Was it actually the bank’s fault? It’s probably not that simple. If the bank was somehow complicit, or perhaps just negligent then you might be able to hold them responsible. If a bank employee was somehow involved in the theft that’s easy, you can probably demand they fix it. If the bank didn’t make it as difficult as possible for crooks to abuse their ATMs then you might again be able to hold them responsible but how are you going to prove that? What fancy argument is your lawyer going to construct to persuade a court that the bank is liable for your loss? It’s going to be almost impossible to prove. But what if the bank hadn’t actually done anything wrong? What if you’d somehow given away your PIN and the thief had stolen your card? It’s not the bank’s fault, surely? It might not be your fault either. So who pays the price? Hidden away in your agreement with the bank I bet there’s a clause that says something like"
In other words any loss made from your bank account that you can’t prove to the bank’s satisfaction was their fault, you’ll end up paying for. You’ll be alone. You’ll be alone just like you would be if you voluntarily sent a scammer in Senegal P10,000. Yes, of course you were a victim of a crime and no, it wasn’t your fault, just like it wasn’t Western Union’s fault for sending your money to the scammer, nor was it the world’s fault for not educating you about scams. Clearly only the scammer is responsible. Or was he? OK, perhaps this situation is different. I’m sorry to sound uncaring but this one WAS your fault as well. Even if you don’t know that “advance fee” scams exist, even if you don’t know how they work, even if you do believe that there are people out there in refugee camps with millions of dollars hidden in bank accounts, why the hell do you think they would approach YOU and offer you some of the money, when they don’t even know your name? Why did you go along with this without even asking someone if the story could be believed? In that sort of case, I’m afraid that such a catastrophic shortage of common sense and a complete lack of skepticism are nobody’s fault but the victim’s. I know it sounds harsh, blaming the victim as well as the crook, but there is an obligation for people to use their brains every so often. There are, however, times when responsibility IS much clearer. Let’s say, hypothetically, that the providers of electricity and water in a country had failed miserably to plan for shortages that they really should have known were coming. Let’s assume that the same utility companies couldn’t seem to get their billing systems to work properly. Let’s say that when bills did finally arrive they didn’t even add up correctly. Let’s imagine that power cuts and taps that ran dry were repeatedly inconveniencing ordinary people. Let’s assume that both organizations had failed to communicate their problems to their customers, the public? Would that be the customer’s fault? "The two bodies have already failed in their core duty of providing power and electricity to the nation. At least they should have redeemed themselves by communicating their failures and associated issues better." 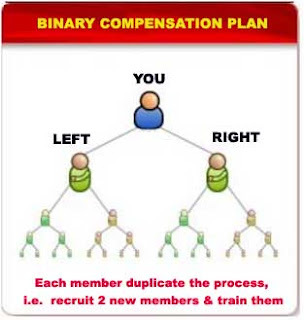 There is a new product pyramid scheme in the name of QNet. There are operating from Palapye and have recruited certain church members to start the disturbing business. Please have a look into it and warn our public before they lose their hard earned cash on useless products. Thanks for the warning. We’ve reported on Qnet before when it called itself Questnet. 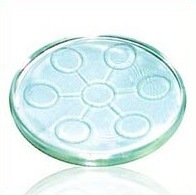 In particular we reported on a product they sell, called the BioDisc, a piece of glass that they claim has magical properties. They claim that it can “redefine and harmonise the energy of water, greatly maximising its positive affect on the human body” and that it “makes water more hydratious, which therefore improves the compatibility of water molecules with the body’s cells”. This is, of course, utter pseudoscience. They use scientific-sounding words like luminescence, photons and biocompatibility but none of what they claim makes even the slightest sense. The claims they make about this and their other products are just ridiculous and untrue. And therefore illegal. What’s worse is that as well as selling silly products like the BioDisc, they now run a their business as a pyramid scheme. They call it a network marketing scheme but that just a cover story for a pyramid scheme. It’s not just me saying that, the company in it’s various forms has been described as either a pyramid or Ponzi scheme by the South Australian Office of Consumer and Business Affairs and the governments of Afghanistan, Rwanda, Turkey, Sudan, Syria, Iran, Sri Lanka, India, Nepal, Canada and the USA so I’m not alone. Like all pyramid schemes anyone tempted to join will end up losing money. Even it was a genuine MLM business, you’re not going to make any money either. Even the biggest MLM businesses like Amway and Herbalife concede that the vast majority of people who enter the scheme make no profit at all. Again, thanks for the warning, please help to spread the word that pyramid schemes are a danger and a public nuisance. We’ve reported several times about fake universities like Headway “University”, a non-accredited, online “university” that sells degrees for money. No exams, tests or coursework, just a fake degree for money. Anyone can tell from their web site that this is suspicious. We received an email recently from a “law firm” that claims to be acting on behalf of Headway “university” demanding that we retract what we’ve said about them. Curiously, the law firm doesn’t seem actually to exist. Their web site has been copied from the sites of other, genuine law firms and they appear not to have any real lawyers working for them. So a fake law firm sends us a fake threat on behalf of a fake university? “strongly urge persons considering dealing with this potentially fraudulent entity to exercise the greatest possible caution before proceeding”. Also the Financial Services Authority in the UK has warned the British public against investing with them. You’ve been warned! This is what Cashflow Pro say on their Facebook Group that you can earn if you join their scheme. Do you believe it? If you do I suggest you contact the Government of Greece and suggest they give it a go. Is this how we irritated Headway "University"? I think this might be why the fake Headway "University" created a fake law firm to threaten us. 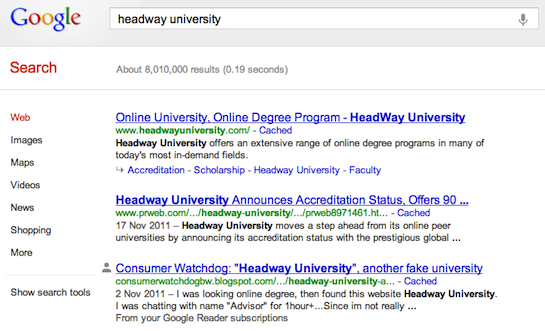 Just do a Google Search for "Headway University" and look at the results. Moron, sorry, more on Royalty7. Some more comments on the Royalty7 scam. Clearly Royalty7 and company running the scam, "Finance Your Dreams" are shameless liars and crooks. See here a warning from the Financial Supervision Commission in the Isle of Man. See here for a warning from the UK's Financial Services Authority. See here a news report from the UK's Financial Mail's "ace investigator" Tony Hetherington. See here for a report from MLM Watchdog. See here for a report on "MLM - The Whole Truth". What are the biggest threats to our financial well-being? What’s the quickest way to impoverish people? What’s the worst thing you can do to threaten your quality of life? It used to be loan sharks, or perhaps I should call them by the politer name, micro-lenders. This was an industry that was largely out of control. It had some decent, law-abiding providers but was dominated by a vast number of extremely shady characters. There were loan sharks we found that operated from car parks, others from fried (not grilled) chicken outlets and even a few that were run from government offices by public servants earning money “on the side”. These were the organizations that would charge up to 30% interest each month and who would make it quite clear how much they would hurt you if you failed to make the necessary repayments. Hurt you financially but also, very occasionally, hurt you physically. But that’s changed a lot recently. Now the Non-Bank Financial Institutions Regulatory Authority is in town. These guys have the legal authority, and more importantly the will-power, to take these guys on. They’re beginning to pile on the pressure and force the micro-lenders to register themselves and operate in a fairly decent manner. It’s not done yet though. We phoned some micro-lenders recently and pretended that we wanted a loan. We asked how they operate and what we had to do to get the cash. Despite NBFIRA making it crystal clear to the entire nation that it was illegal, we still found a lender, one whose name I bet you would recognize, who said they would take the borrower’s ATM card and PIN from them to make sure they got the money back. We’ll be passing the name of the lender and a recording of the phone call we made over to NBFIRA so they can take this further. However the good news is that NBFIRA IS having an effect and with a little luck the scoundrels behind some of the loan sharks will soon be out of business. We’re not so lucky when it comes to stores that sell on credit. Store credit presents several dangers. Firstly there’s the interest rates they charge. It’s perfectly normal to spend twice as much for an item if you buy it on credit than if you had bought it for cash. Sometimes it can be three times as much. We once saw an advertisement in a store window for a bedding protector that was available for cash for P199. If you bought it on credit you were asked to pay a deposit of P72 followed by 24 monthly payments, each of P70. That’s a total repayment of P1,752, nearly NINE times the cash price. Luckily we’ve now persuaded almost all the stores that sell on credit to obey the law and make it clear to customers in the adverts what the total credit price will be. Then there are the contractual terms you agree to when you buy on credit. Well, you often don’t truly agree to them because you often never see them until it’s too late. Many furniture stores refuse to let you take the time to read the contract before you sign it. Almost all the stores we investigated refused to let a potential customer take the contract away with them to read it overnight. That can only be because they have something to hide. Something they don’t want you to know before you sign away all your money. More worrying than these deceptions though is the gullibility that we customers often demonstrate. Just recently a reader contacted us with a problem. In June 2010 he bought a TV and decoder from a store on credit. Six months later he started to have problems with the repayments. He claims that he spoke to the store but they weren’t prepared to be flexible. He continued to pay half the agreed amount but that wasn’t enough for the store. Not long afterwards the store came and repossessed the TV and decoder. I know it’s frustrating but this isn’t fraud. It’s store credit. Yes, they did take the TV and decoder back and no doubt they sold them to someone for a fraction of their real value. That amount was set against his remaining debt but it won’t have had much of an impact on the amount he owed them. What he’d forgotten, or never understood, is that he had originally agreed to pay the store a large amount of money, considerably more than the actual value of the goods, over 24 months. That money, those repayments are what they want more than anything else. They’re not going to let him avoid that. That’s how they make money. A few years ago a furniture store Managing Director confessed to us that his core business wasn’t actually furniture. It was money-lending. The furniture store business model is to sell us the cheapest and nastiest crap they can get away with and make as much money from the credit deals they want us to sign. That’s how they make so much money and it all relies on our massive gullibility. We need to stop being gullible while we can still afford to. I received an email from the Sheraton Heathrow Hotel with a list of vacancies and wages. They say that they will pay for the flights, accommodation and feeding for successfully shortlisted applicants. Is true or is it a scam? The Sheraton Heathrow Hotel at London’s main airport is indeed a genuine hotel but that’s the only true thing in the email you received. To begin with the salaries they offer in the email simply aren’t believable. The email says that a housekeeper will earn £950 per week which comes to over P500,000 per year. A security guard will earn more than that and a cook even more. The email suggests that an “Accounting Officer” can earn P850,000. This is simply not credible. This is a scam. You can rest assured that sooner or later the scammers would demand a payment from you, an “advance fee”. In this case it would probably be a legal fee or the price of a visa, something like that. It would probably be a fairly modest amount, perhaps $500-$1,000, the sort of amount that would be plausible if the services were genuine. They’ll demand payment not by online banking, a telegraphic transfer or a posted cheque but by Western Union. You’ll never see that money again. What will probably happen, when the scammers know you’re a successful victim, is that they’ll conjure up another story to get even more money from you. All of this money will forever be lost. Nothing in the story they tell you is genuine. Just delete the email and forget about it. I went to a shop on 4th June around 14:00hrs and handed my goods at the parcel counter and was issued a counter card. I went into the shop to do my groceries however on my way out I discovered that the parcel counter number is no longer in my possession meaning that it has been lost inside the shop. I went to tell the security personnel about the card and he told me that I need to pay P10 for the lost parcel counter to redeem my parcels. I told him that I don’t have the said amount and he directed me to the shop supervisors. I pleaded my case before the supervisors but was told that it was the store policy and there is nothing they can do to assist. I tried to explain that the parcels I had are in fact perishable food stuff and may not necessarily wait for the next day while I try to get P10 but could not get any help. I left the store and left my possessions behind. The Question that I need to ask you is do I need to pay to redeem my possessions? Do I have the right to my possession in their parcel counter with or without their parcel counter number? This is ridiculous. This clearly isn’t the first time that someone’s lost their card, otherwise the store wouldn’t have a procedure like this. However it seems unbelievably inflexible for them not to be able to come up with a plan when a situation like yours emerges. While I understand that the store might be wary of people just taking parcels that they don’t own, how does the P10 payment prevent that? It would be worth P10 for a thief to take a bag they liked the look of, wouldn’t it? Surely the sensible approach would be for the store to ask you what the bag contained so you could prove it was yours? I’m sure you would have been able to identify most of the items in the bag. At least that way they wouldn’t have made themselves look like idiots. Please help. If your employer sponsors you for further studies, do they have a right to withhold your certificate or diploma and refuse to give it to you when you no longer work for them? If not, what are the procedures to get your certificate? This is just wrong. YOU obtained the qualification, didn’t you? Was it you that sat the exams, did the tests and did all the hard work? Of course your employer paid for it and they’re probably entitled to hold you liable for some of the costs if you leave soon after getting the qualification. Many organisations do this, they “bond” you for a period after getting a qualification that they paid for. If you choose to leave during the bond period you have to pay them back some of the costs. That’s reasonable, but holding onto your certificate or diploma is wrong, wrong, wrong. I suggest that you write to the employer and demand what you earned. Copy the letter to the establishment who awarded you the qualification as well. If that doesn’t work get in touch again and we’ll apply some muscle! Thanks to Kasey Chang for this warning from the Isle of Man, Financial Supervision Commission, who say that Royalty7 is a lying, cheating scam. Stay far away from any scheme that claims this sort of thing. In comes an email from a company calling itself "Joyce & Nielsen" who claim to be acting for "Headway University", a non-accredited "university" that sells fake degrees to anyone with a credit card. This is what it said. The "exhibits" they provide are quotes from this blog and also, for some unknown reason, bits of other people's web sites that are nothing to do with us (Exhibits 3, 3a, 3b). Prepare to quake and quiver in fear. ￼￼￼We represent Headway University, a reputable online educational services provider that provides educational services to individuals from all over the country and across the globe. We understand your nature of work and we appreciate your efforts to secure consumer rights but others are openly misusing your blog to defame and harm our client, Headway University (Exhibit 2). It does not only effect the institution but also the students & alumni of our client, Headway University. It is harassing a number of individuals emotionally, leading to physical harm caused by baseless facts shared on your blog. Additionally we found our client’s logo on your blog which is a violation of “Digital Millennium Copyright Act” (Exhibit 2a). In addition, Offenders have also shown interest in commercially using defamation material and earn by blackmailing (Exhibit 3, 3a, 3b) various other clients including our client, Headway University. This information has been shared to make you aware of Cyber Blackmailing pointed towards our client, Headway University, of which you are now a part of. The unverified facts shared in comments under this post show your consent in illegal defamation of our client. In this case, the offenders are utilizing your blog and repute to blackmail various clients including our client, Headway University. The defamatory content has already caused some serious financial damages to our client and it will continue to do so if no action is taken. Considering the damage and a very possible threat of this content leading to further criminal activities such as extortion, blackmailing, and cyber bullying, our client has instructed us to take whatever legal actions are appropriate to enforce and preserve it rights. i) Formally request that you delete the defamatory content posted on your servers. Please contact us within 72 hours of this letter, should you fail to take down the baseless defamatory content within the time specified, we will advise our client to take appropriate legal action. Let's begin with a few facts. Headway "University" sells fake degrees. You don't need to study, sit exams or submit research. All they want is your money before they'll award you one of their "degrees". In fact they appear to be part of an organisation that sells fake degrees from a range of different fake establishments. You can see more at diplomamillscam.com. Me: does that mean i don't have to study? Me: which university awards the degree? Me: and how much will this cost? "value by combining professional skill, technology, and a thorough understanding of our clients’ needs to deliver high quality, cost-effective and responsive services"
By a bizarre coincidence the exact same words appear on the web site of Womble Carlyle, a respected law firm in North Carolina. Several other sections of their web page were also identical to other parts of the Womble Carlyle site. Other text was identical to text on the web site of Clifford Chance, a leading law firm in London. The firm claims to be allied to the "Association of Legal Corporate Counsel", an organisation that appears not really to exist. Their web site names precisely NO attorneys working for them, no names are given of anyone and I can't find any trace of "Zack Garcia", their supposed "Managing Partner". The letter they emailed to us also gave no physical address for this supposedly respectable law firm. So why can't I find any trace of them? Why do they not seem to exist? Is it perhaps that they are, in fact, no more genuine than Headway "University"? And "providing full spectrum of services"? Anyway, "Joyce & Nielsen" can threaten all they like. I maintain that Headway "University" is a fake university. What I've said is true and it's in the public interest that it be published. That means it's not defamation in Botswana law and in the laws of all other civilized countries. P.S. That bit about their letter being "Personal and Confidential"? That's fine, they can see it that way. I don't. If they wanted it to be kept confidential they should have asked before sending it to me. If you lie in court you’ll get into trouble. Once you’ve sworn to tell the truth, the whole truth and nothing but the truth and it’s then discovered that you lied you may well end up enjoying that special form of State hospitality called prison. You might think that everyday life is different. We can lie a bit, can’t we? No, we can’t. Our laws are full of rules prohibiting lying, deceiving and deliberately distorting the truth. However the laws almost always talk about “knowingly” lying. Honest mistakes and ignorance can be overlooked in most circumstances. But this doesn’t mean that lies don’t happen. Unfortunately, we’re surrounded by a complicated mixture of lies and sometimes deliberate ignorance. AIU is a fake university accredited by a fake organization. It’s as simple as that. Let me be more direct. Degrees from AIU are worthless and won't be recognized in Botswana, so don't waste your money. Just a few days ago I received an email from someone who I assume works for, or is paid to promote this bogus establishment but who chose to remain anonymous. I’ve left the spelling and grammar intact. So I’m a fraud for calling them fraudulent? They themselves concede they aren’t an accredited university and they offer non-accredited, in other words, FAKE, degrees. So someone, not me, is either lying or is ignorant of how genuine universities operate. I’ve also received a small number of emails, even phone calls, from people who have “invested” money in a variety of Ponzi schemes. The tragedy is that everyone except the victims knows they’ve thrown their money away and will never see it again. They might be given very small amounts back to convince them that the scheme is genuine but there’s no way they’ll ever see anything close to their initial investment. That’s how Ponzi schemes work. Initial investments from “investors” are used to pay earlier investors small premiums to make the whole thing look convincing. Nobody other than the creator of the Ponzi scheme actually makes any money. I firmly believe that the people supporting bogus universities are stooges. They are probably even the same people who operate these fraudulent web sites. The willing victims of Ponzi schemes and their cousins, pyramid schemes, and even their even more remote relatives, multi-level marketing schemes, are in the pathetic grip of delusional self-justification. They can’t bring themselves to believe that they have been so completely foolish. They’re in complete psychological denial, often a denial so profound that they’ll continue to invest even more money, promising themselves, like gamblers, that one day soon it will all turn out right. While I despise these schemes for the effect they have on people’s financial well-being, I have a special loathing for anyone who does the same with people’s physical health. In Mmegi last Friday an “naturopathic doctor” wrote a piece entitled “Naturopathy: The holistic approach to health and disease” which included a variety of observations, suggestions and claims. For once I‘ll ignore the vacuous platitudes the article included (“Eating plants in the form of vegetables and herbs is linked to a circulatory system within the biosphere and the energy source of the sun”) and focus instead on some of the claims made in the article that, shall we say diplomatically, are patently false. For instance the article claimed that “a special energy - vital energy or vital force - guides the body's processes”. What evidence is there for this mythical “force”? None. Later on the author claims that “acupuncture is an effective tool for pain as well as increasing energy in the body.” Again I have to ask where the evidence to support this claim can be found? In fact ALL the scientific evidence on acupuncture shows that it’s effects are no better than an equivalent placebo. In other worlds acupuncture is a sham and bogus treatment that offers no provable benefits at all. Other than that irritating absence of evidence there’s the fact that acupuncture is just so implausible. Acupuncturists claim to exploit so-called “meridians” that channel energy around the body. Fetch me a knife and a dead body and let’s see if we can find them, shall we? They’re simply not there. My biggest complaint about these claims is that they are based on a simple, perhaps even deliberate, misunderstanding. The naturopath in Mmegi discussed “the modern lifestyle that comes with diseases like diabetes, obesity, high blood pressure and other ailments” as if to say that modern life caused these problems. What modern life and the benefits of modern science and medicine have given us is a life-expectancy and quality of health that our great grandparents would have dreamed of. Denying this is false testimony. How legitimate is royalty7, Or is it a scam? Royalty7 is yet another “High Yield Investment Plan” offering staggering returns on small investments. As we always say, if something seems too good to be true, it IS too good to be true. That should be enough of a clue. Like all the other HYIPs I’ve seen recently this sounds just like a Ponzi scheme. Your initial “investment” will be used just to pay small returns to earlier victims, sorry I meant to say “investors”. If you’re lucky, some other poor shmuck will invest after you and you might get a bit of his or her money. Here’s another warning. All of the HYIP Ponzi schemes I’ve seen recently seem to have an enormous following on the internet. Various web site shave been set up that claim to have positive testimonials from satisfied and excited customers. Guess who set them up? Yes, very often it’s the same people who set up the scam, the same people who post all the messages saying how wonderful the plan is. So steer clear of any scheme or plan that offers you extraordinary financial returns. You’ll be a victim, not an investor. In June 2010 I bought a Samsung TV and DSTV at a furniture shop on higher purchase plan. Beginning of 2011 I hit a financial snag but this was communicated to the Shop who were not even polite to me. I kept paying half the amount I was suppose to pay but struggling. I tried to reason with them that, my intention was to pay them and if we could come up with agreement that I settle the debt, they refused and even told me they are taking their stuff. I was surprised that on 28th May I received an sms from a company telling me I owe the Shop. I am a bit shocked because they took their things and would not talk with me so how is it that I have to pay for things I don't have in my possession. I would have thought the reason they reposed the items was to sell them and recover the money so am surprise that they take stuff from me and tell me to pay it again it does not make sense, I believe its fraud. No, this isn’t fraud. Unfortunately this is how store credit works. When you signed the credit agreement in 2010 you agreed to pay them a fixed amount each month for a couple of years and that’s the money they want. I understand that they took your TV and decoder away from you and they probably did resell it but only for a tiny fraction of the money you owed them. I doubt that the money they got from the sale had much impact on your debt. After all, the TV was now second-hand. However I am surprised that the store wasn’t prepared to discuss a more suitable repayment plan with you. That would have been the decent thing to do. We’ll get in touch with the store and see if they can sort something out for you. Meanwhile it’s incredibly important that you get in touch with the debt collector. Talk to them and see if they can’t agree a repayment plan with you that you can afford. There are some questions that keep on coming up, questions that readers keep on asking us, questions that we need to answer over and over again. It’s time to answer them again. Q. Is it possible to get a degree based on “life experience”? Several readers have asked this recently. They want to get a degree to help them get a better job, a promotion or to get them onto the Board of a national institution or company. Instead of getting a qualification the hard way, they get the idea instead that they can do it over the internet based on their life experience. They seem to think that because they’ve been working for a long time this is a shortcut to getting a Bachelor, Masters or Doctoral degree. This is made a lot easier for them because of the large number of seemingly legitimate web-based “universities” with impressive names like Rochville, Belford, Ashwood, Headway and Mcford. In fact they’re all fakes. All of these fake universities offer their degrees for no more than a credit card payment and claim you can get your fake degree within days of payment. No examinations, no coursework, no dissertations, the only work you have to do is type in your credit card number. They are as fake as the degrees they offer, as fake as the people who buy these bogus qualifications. In fact most of the popular fake universities are all part of a single organization operating out of Karachi in Pakistan. You can see a list of these Pakistani fakes on our blog. So the answer is no, you can’t get a degree this way. No real university offers degrees based on life experience. Q. Can you trust import car firms? It depends on the firm in question and how they operate. You have to consider where the car is when you buy it. If the car is on a forecourt here in Botswana then at least you see it, sit in it and take it for a test drive. You can get your friend the mechanic to take a look at it for you. However the more risky type of business is the online car importer. These show you the details of a car on the web while it’s in storage in another country. In these cases how can you evaluate the car before you buy it? You can’t take it for a test drive, you can’t inspect it, you can’t even be sure that the car you choose is the car that’ll be delivered. Given that all of these companies demand full payment before they ship the vehicle, what can you do if they send you the wrong car? What action can you possibly take? You have the wrong car and strangers in a foreign land have your money. I’m skeptical about whether buying a car from overseas is a good idea. I would only ever suggest you buy a car you have driven yourself and that has been inspected by someone you trust to act on your behalf. Even then you need to ask about how the vehicle will be maintained if it’s come from a country far away. Friends of mine still drive a fancy 4x4 from Japan whose radio still talks to them in Japanese. Nobody seems to be able to fix that. Do you want that? Q. Should I stop paying for my store credit purchases? No. Never. No matter how the store has behaved, however badly they have let you down, even if you think the world is going to end, don’t stop your credit repayments. The critical thing to understand about buying items on credit is that once you sign the deal you are committed to making the payments for the entire duration of the deal. There will be no getting out of it. The items you bought are entirely unconnected with the payments you make. Think of it like this. If you’d got a loan from your bank to buy a computer and that computer was later stolen, would you be entitled to stop repaying your bank loan? Of course not, the bank would have you in court within moments. It’s the same with store credit. If you stop repaying you’ll be the one in trouble. If a problem occurs with your purchases complain vigorously to the store and demand they fix it. Give them no other option. Just keep paying them what you agreed to pay. Q. Is there such a thing as “passive income”? Only if you are exceptionally wealthy and exceptionally lucky. “Passive income” is a term used by multi-level marketing companies and their cousins, pyramid schemes, to catch you in their net. They suggest that once you’re in their scheme large amounts of money will just flow to you as if by magic from the people you recruited and the pyramid of gullible fools who they recruited beneath them. Of course this is nonsense. Multi-level marketing companies like Amway and Herbalife confess in the statements they are forced to disclose each year in the USA that the VAST majority of their distributors make no profit at all. As for the victims of pyramid schemes, they’re just screwed. Q. Can I make money from High Yield Investment Plans? No. HYIPs are just fronts for Ponzi schemes. They promise you astronomical financial returns from your investments but they lying, it’s not true. Any money you get will be from the “investments” of later victims. What they want, and what you won’t get back, is your initial payment. They’ll pretend to give you massive interest payments and they might even give you a few small trivial payments to keep you happy but remember this: they still have your initial payment and they plan on keeping most, if not all, of it. Q. Are emails from strangers offering me money, jobs or love genuine? Please help me check a Senegalese identity. Are these documents fake or genuine? This is an obvious fake. The quality of the ID card is very suspect, look at the changes in font, both typeface and size, the incorrect capitalization and the general quality of the documents. Also there are other clues. Who has an ID card numbered "0001"? The "passport" also shows the same strange use of fonts. If you look closely you’ll see that the signature on the passport is totally different to that on the ID card and neither say “Richard Bongo”. Both of these documents have been created on someone’s computer and clearly by an amateur. A quick Google search showed that the very same ID document has been used before in "advance fee" scams. Also the name "Richard Bongo" has been used in scams before. Update: The reader responded and confessed that he had already lost P10,000 to the scam. It seems like we were too late this time. Be warned! I need your advice. I want to buy a car and there is an offer too good to be true. Could you check it for me because I don't understand why their bank is in New York yet they are in Japan? Did you say “too good to be true”? That’s always a clue that something is suspicious. I'm skeptical about all car import businesses but in this case the banking details are the least of my concerns. The key issue for me is that you have no way of inspecting the vehicle before you pay for it. You have no real guarantee that the correct car will turn up or that it will be in a satisfactory condition. What can you then do if the car you receive isn’t the right one, or isn’t in the condition you expected? Nothing. I did a bit of detective work and I’m now even more suspicious. One of the chassis numbers they quote, for a Toyota “Windom”, is also available for sale from the same company, not in Japan, but in Georgia which is 8,000km away from Japan. How can the same car be available in these two places? At the very least someone isn’t being entirely open with you. The prices are, I suppose, reasonable for cars of this type and ages but that would make me even more cautious. A cheap car of that age is not going to be in the best of condition and who will support such a vehicle in Botswana? All in all I'm very skeptical! Update: The reader came back to us saying he’d reconsidered and had dropped his plan to buy these cars.